Our Future Rooted in Our Past: Now who was that in the picture? Now who was that in the picture? How many times have you looked at older photos of family or friends and wondered: "Now who was that in the picture?" I have numerous pictures from the past and present that have multiple people in the photos. Wouldn't it be great to be able to label the people in the pictures so that their names will not be forgotten? I am not the only one that has thought of this idea. As the digital age continues to explode, it affords the individual with more options for family history work including preservation, research, sharing, and documentation of family history. You only need to go to Dead Fred and see all of the nameless pictures of people to realize how important the documentation of the names of individuals in a photo. It has been said that if your history is not written down or documented, you or your family will be lost in the memories of others within 2 generations. The Apple/Mac platform utilizes I-photo which allows for the labeling and categorization of the photos on my laptop computer. I liked this platform very much, but I also have a PC so I wanted one that would work across both platforms. I wanted the flexibility of being able to work on either my macbook or my desktop PC while working on my family history picture archives. I began searching for a program that would satisfy these requirements. Over the past month or two, I began utilizing a free program that I think every genealogist will want to have at their finger tips. 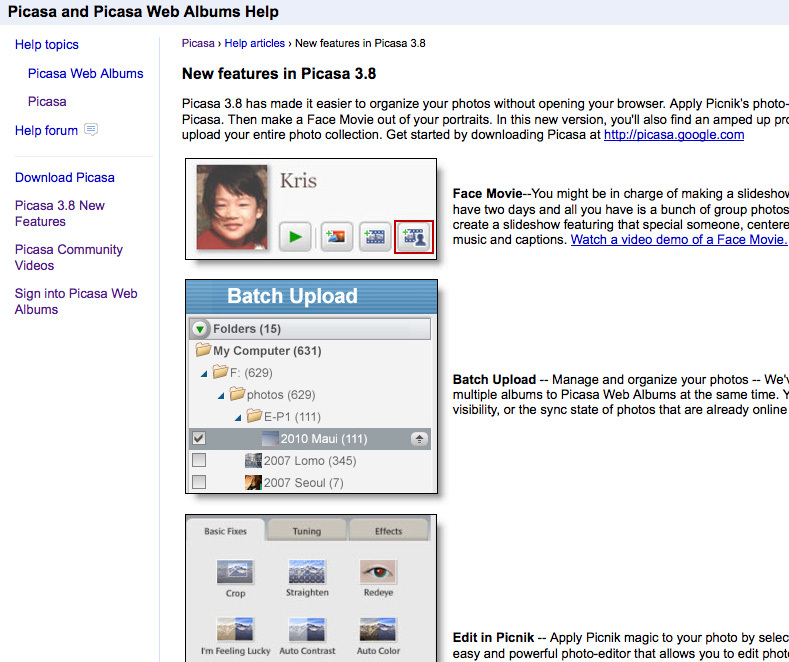 The new tool that I have begun to utilize is most likely familiar to many of you; it is Picasa. 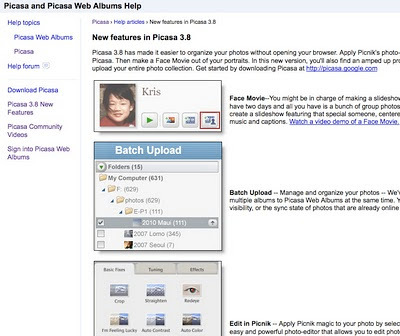 The newest version of Picasa is free to download and use to assist with the organization of your family photos. If you have used this before, you know how easy it is to install and the program automatically finds all of the photos on your hard drive. The newest version allows one to perform simple color corrections, remove red eye, and a few other tools to tweak the picture to be at it's best. Another feature of Picasa is the face recognition program. The face recognition works fairly well however, it does not always pick up every face in the image. This is easily corrected as the program allows you manually tag/add individuals in the photo. Once you have labeled the individual the program will begin to search the photos on your hard drive organizing them by individuals. The program works well in categorizing the faces properly, requiring only a click for you to confirm the identity of in the individual. Additionally you can geotag each photograph. I am impressed with the program and the ease of use. I think that you would enjoy using it as well. To download and/or learn more about this program check out Picasa.